A lot of times, you don’t even know that you have termites until there is extensive damage. But if you get regular pest inspections in Phoenix, you might catch the problem earlier. Unfortunately, since termites work literally 24 hours a day, seven days a week, there is almost no chance that you will discover termites without there being some damage to your home. One of the easiest ways to repair termite damage is to replace the piece of wood that was eaten through with a new piece of wood. Of course, this isn’t always easy, depending on where the wood is located. You can’t exactly replace the stud in a wall without having to rip out and replace other items, such as drywall, trim, and maybe even a little flooring or ceiling. However, if the wood is a floor board or a beam in the crawl space, it may be easier to replace. A simple replacement will be faster and cheaper than most other types of repairs, so this is the scenario to hope for if you have to deal with termite damage. If you can’t replace the wood, you may be able to simply reinforce it. For example, termites might eat through one of the joists in your floor that is providing structural support. In fact, the reason you may have discovered that you have termites is that you noticed your floor was sagging. But if the joist is removed, the floor will fall through, so a simple removal and replacement won’t work. Instead, a healthier beam can be attached to that damaged beam to provide the necessary support. You should work with a Scottsdale home remodeling contractor to know whether reinforcing the wood is the appropriate solution. You don’t want to make the wrong choice when you are dealing with structural and load-bearing elements of your home. Sometimes, you can catch the presence of termites early enough that the damage is minor. It may be that there is only surface damage or minor fissures in the wood. Specialty products can be applied to the wood to harden it and ensure that it provides the same protection as it did previously. It is important that you work with a professional if such a treatment is needed. Only a professional can tell you for sure if a hardening treatment will be enough to correct the damage, and only a professional will be able to choose the right product. If you attempt this work yourself, you could use the wrong product or apply the treatment where it’s not appropriate and put your home in jeopardy of more damage when the wood fails. Termites can cause extensive damage to your home if they are unchecked. It is important that you work with a termite control company to have your home inspected regularly to catch termites as early as you can. A good termite control company in Scottsdale will also create a treatment plan that will keep termites away from your home so that you never have to worry about them causing any damage. Keeping termites out of your home will save you a lot of money in the long run and will certainly save you the hassle of making these repairs. 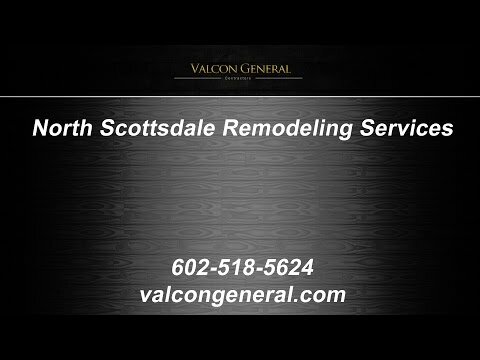 Valcon General is a reputable home remodeling contractor in Phoenix, and we can help repair termite damage in your home. Our home improvement contractors are experienced in all types of home repairs and renovations, and they will come up with the perfect solution for repairing termite damage in your home. They may be able to replace damaged wood, or they may suggest a home improvement that will repair the damage while also upgrading some of the features of your home. Call us in Phoenix today to learn more about our services or to get a free estimate for your home remodeling work or termite damage repair.